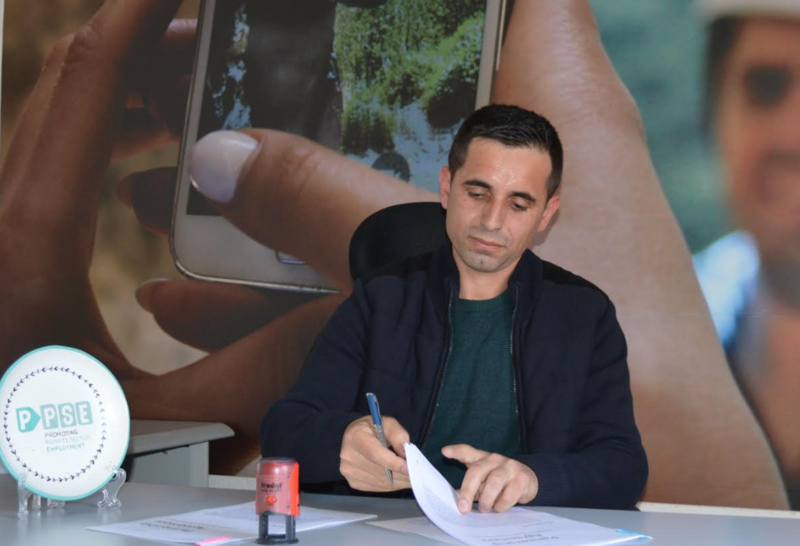 The partnership agreement signed on 11 April 2019 between NEKTAR, a food processing company, and PPSE, will enable the former to acquire one calibration machine and one semi-automatic jar capping machine. Having high-quality final products is important for the company’s growth and better positioning in the market, says Fatih Mazrek, owner of NEKTAR. “Through our previous cooperation with PPSE, a marketing company conducted market research for us and provided with important feedback on branding and products. We are gradually implementing these recommendation,” Mazrek says. NEKTAR aims to become one of the largest processors of cucumbers in Kosovo. Already present in the market with various products, the company is investing resources in expanding and improving cultivation of vegetables, collection and processing. The new technology to be acquired through this second cooperation with PPSE will enable the company to launch high-quality final products, such as pickles and vinegar, for the local and international markets.